Whitening products became wildly popular in the great dental cosmetic boom of the 90’s and early 2000’s and are still sought after today. What makes the materials better now? 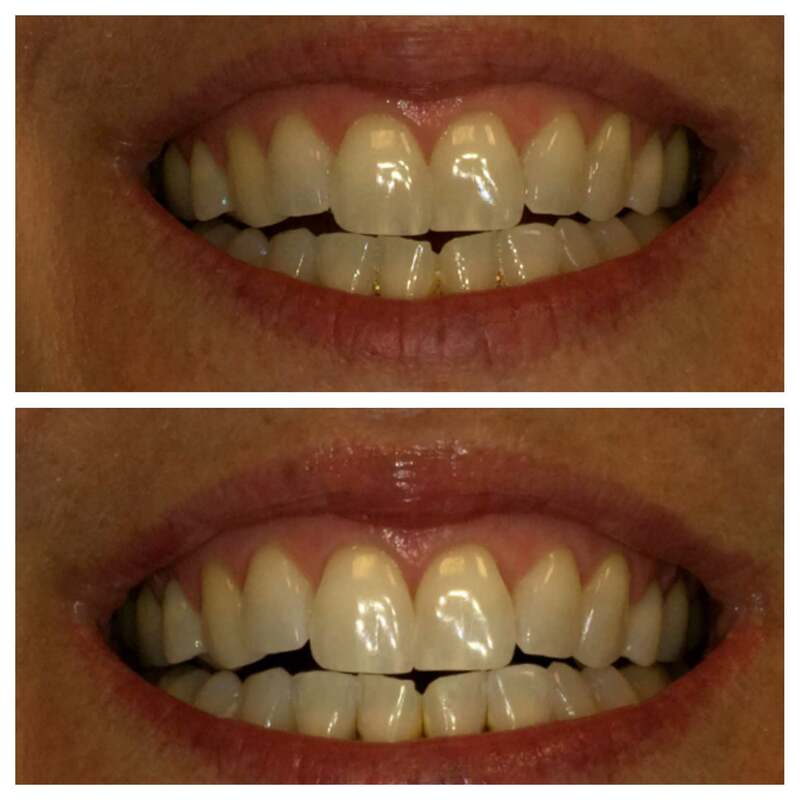 There have been improvements in the products and techniques: less sensitivity, some that can bleach nearly-impossible-to-whiten teeth, and the simplicity of the procedure. In our office, we have changed our procedures to tailor the bleaching products to our patient’s needs. For those of you who are do-it-yourselfers, there are over-the-counter (OTC) products that can work. The difference in the materials used in these OTC kits is the strength of the product, which affects the speed of the bleaching. OTC kits will take more time and possibly numerous kits (more $$$) to get the results of professional whitening obtained from a dental office. I ran an experiment to test some different whitening products before changing our protocol for our patients. Who better to be the guinea pigs, than me and one of my staff members? The problem I had when utilizing other bleaching systems was that my teeth were sensitive, while I was bleaching. When too much sensitivity would happen for our patients during the procedure, we previously would change to a lesser strength of the whitening product. The only problem with changing the solution strength, was that it would then take more time to achieve the results. And I am impatient. My goal was to find a system that was less sensitive to use, worked in the same amount of time, and produced good results. Our in-office procedure now uses the #GloBleaching system. Check out the results. My teeth were fairly light to begin with, so here are a few actual patients to show their Glo in-office bleaching results, too. 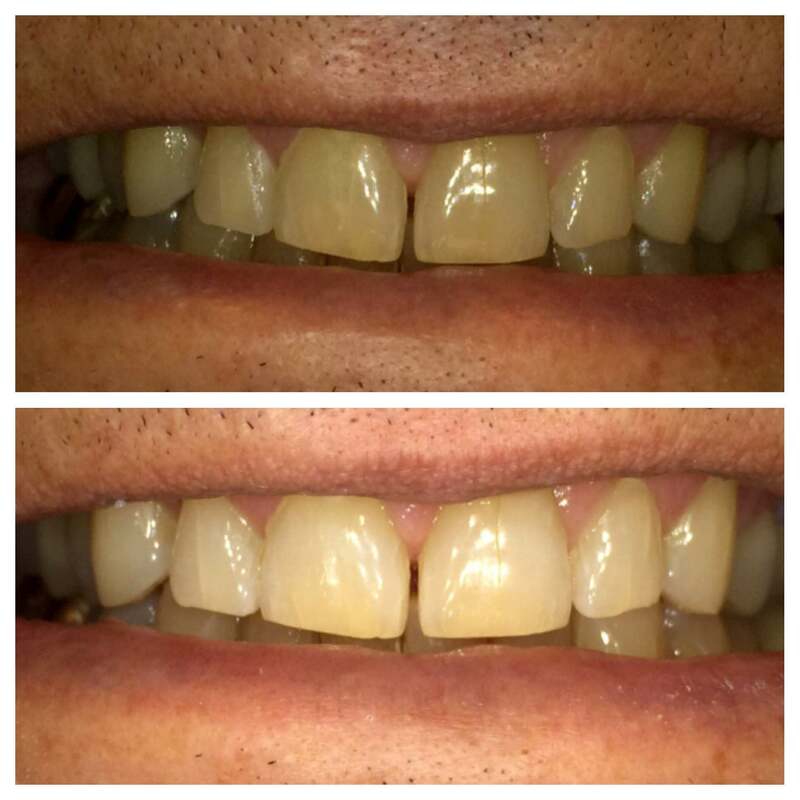 The next problem we tackled was to find a bleaching system to whiten those, “I’ve tried everything and nothing whitens my teeth” cases, the dreaded tetracycline stained teeth. 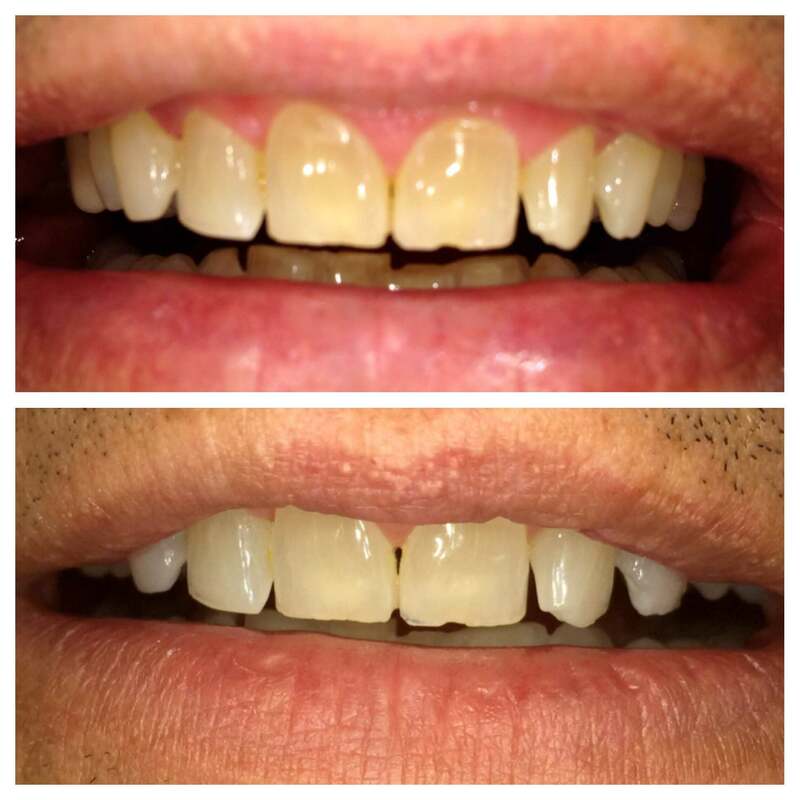 Our previous solution had been to try to whiten these patients with the best systems out there and when that failed, (which it did), we would do crowns to mask the discoloration since we couldn’t change it much with bleaching. Our more conservative solution is now to do #KorDeepBleaching on our patients who fall into this category. Though it is definitely not cheap, about the equivalent of one crown fee in our office, the fact that numerous crowns would not be necessary to mask the discoloration makes this a viable “cost saving” alternative in the long run. 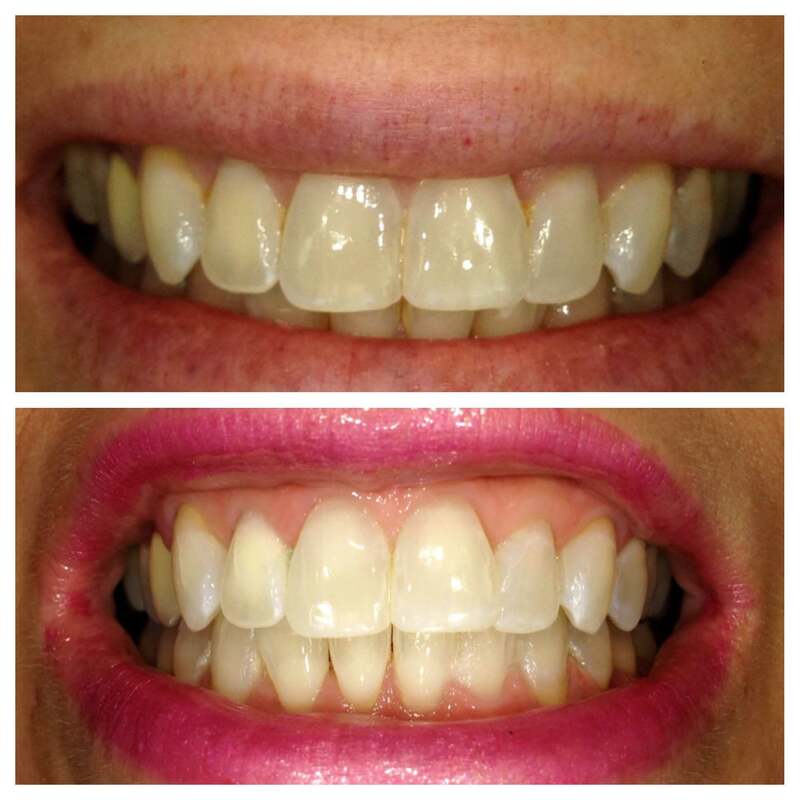 The amount of time needed to get the Deep Bleaching results is extensive in comparison to the routine bleaching cases, but these hard to bleach cases can now see results! And that is exciting! If you have whitened your teeth in the past and were frustrated by the process or the results, it may be time to ask your dentist about the current systems that could brighten up your smile. Or give us a call, and we would happy to add your pictures to our satisfied Desert Ridge Smiles bleaching patient portfolio! 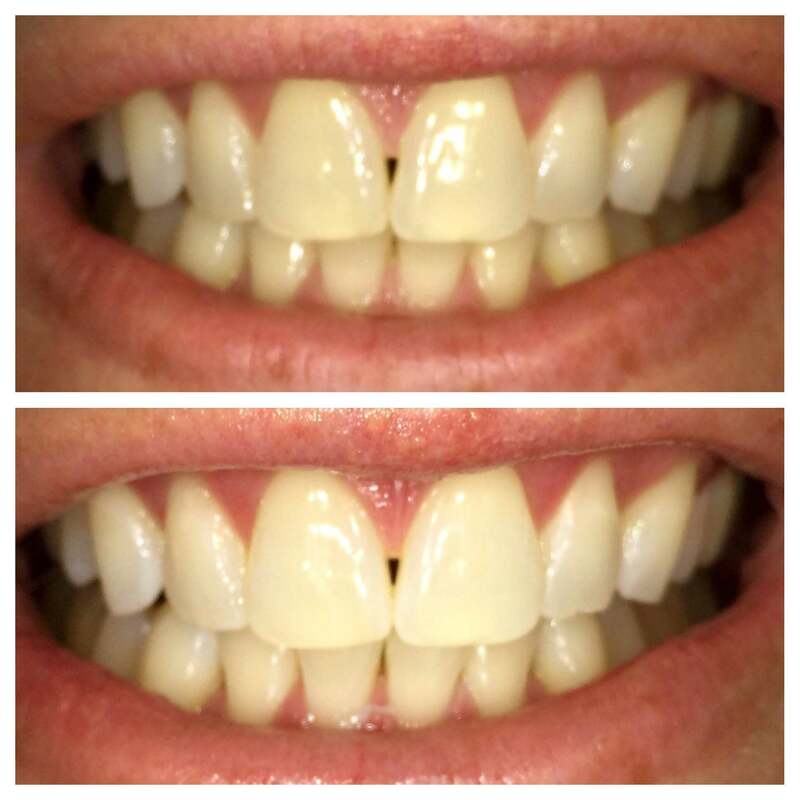 This entry was posted in Beauty, Better Image, Bleaching, Brightening Smile, Children's Dental Health, Cosmetic Dentistry, Crowns, Sensitive Teeth, Teeth, Tetracycline Stained Teeth, Whitening and tagged Bleaching, Cosmetic dentistry, Crowns, Dental, Sensitive teeth, Teeth, Tetracycline Stained Teeth, Whitening. Bookmark the permalink.